Leslie "Buzz" Davis is a former Dane County Wisconsin, Supervisor. he is married to Kay Davis. Davis is a retired state government planner, union activist and former VISTA volunteer, Army officer and elected official. He is a member of Veterans for Peace. 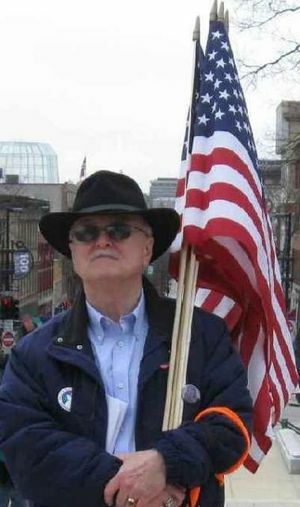 In 2005 Buzz Davis was member of Madison Democratic Socialists of America. Davis has invited state Rep. Gary Hebl, state Sen. Mark Miller, local union leaders and members of the Stoughton school board and common council to speak. 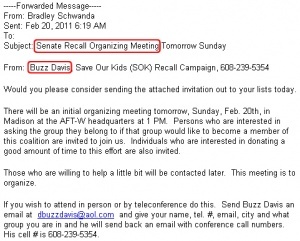 Buzz Davis was heavily involved in the "Recall Scott Walker" campaign. This page was last modified on 11 August 2015, at 04:03.